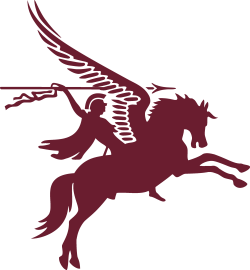 The Regimental Commemorative Day will take place at the National Memorial Arboretum on Sat 22 June 2019. 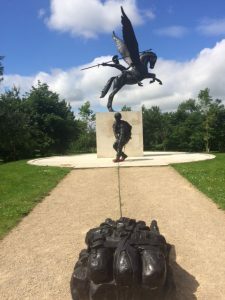 The day will take much the same format as last year with the service once again to be held at The Parachute Regiment and Airborne Forces Memorial. All Branches of the Association are strongly recommended to send representation to this meeting. Due to increases in costs at the NMA tickets will be £10 per person this year PRA funds will still be subsidising the meal and the refreshments at a cost of £10 per head. The plated meal definitely worked last year and the feedback from all branches was positive. All branches and individuals will be allocated tables with a seating plan available on the day with a maximum of 10 persons per table. Tickets for this year’s event will be collected at the PRA reception desk on arrival. When branch representatives are collecting tickets, they must hand in a nominal roll of all those attending, with branch member’s names and PRA membership numbers included. Individual attendees will be able to register their details on the blank forms that will be available on the day. This will save time and help to avoid the issues that occurred last year. Tickets can be ordered from Mr John Carey PRA/NMA representative, at the above address. 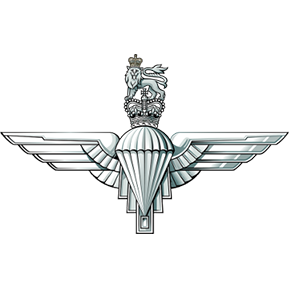 All cheques are to be made payable to: The Parachute Regimental Association (PRA). The cut-off date for tickets will be Friday 31 May 2019, no bookings will be taken after this date so please book early to avoid disappointment. All the tables and seating in the marquees will be allocated to only those who have purchased tickets. If you do not wish to purchase the meal ticket you can either use the NMA Restaurant or bring your own packed lunch. PRA member’s guests lounge suit or blazers beret and medals. Standard Bearers report to: JJ Wilson and Peter Richens after the AGM at the rear of the marquee for a quick briefing and rehearsal. Marshals will direct you to parking areas. None badge holders can also use the main car with now plenty of parking spaces, when full the overspill car park will be available to use. Coaches/Mini Buses can drop of at the designated points by the main entrance drivers will be directed to parking areas. All cars will have to pay £3 to park all day. A designated area will be available for wheel chairs and carers to view the service. Blue badge holders will able to use disabled spaces in the main car park. A Band (TBC) will be in attendance. 10:30 – 12:00 VIP arrival and reception. This includes the NOK of those that died.